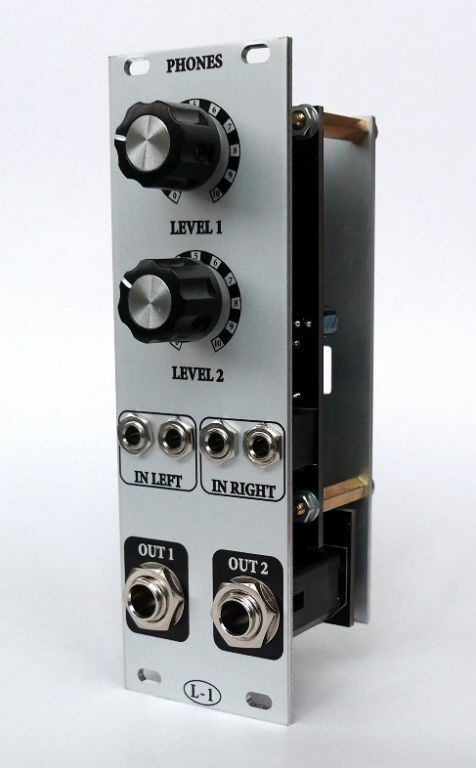 MUFF WIGGLER :: View topic - [LIMITED STOCK] L-1 Dual headphones amp. [LIMITED STOCK] L-1 Dual headphones amp. With it you can to wiggle with a friend at night when everybody around sleeps. - two independent CMOY phones amps. - to minimize left-right crosstalk, both left channels are in one dual opamp, both right channels in another. - two input jacks for each channel are multiplies fro using a signal further. - I used OPA2604 but another dual opamps possible. - 6.3mm jacks are Rean NYS-2343. 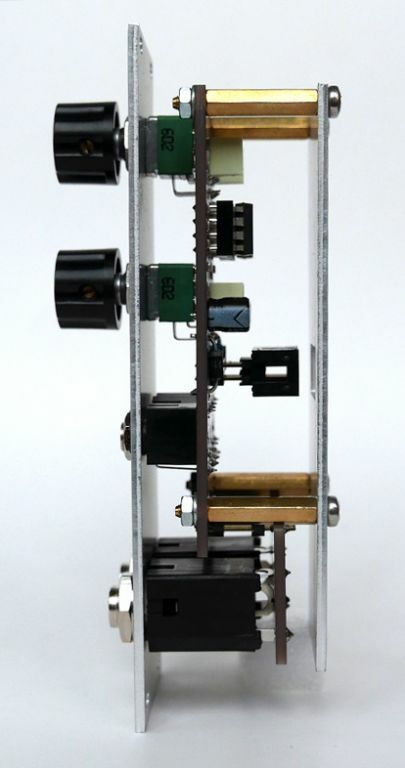 - dual potentiometres 50K log are available from Thonk. The module is available assembled or DIY kit. 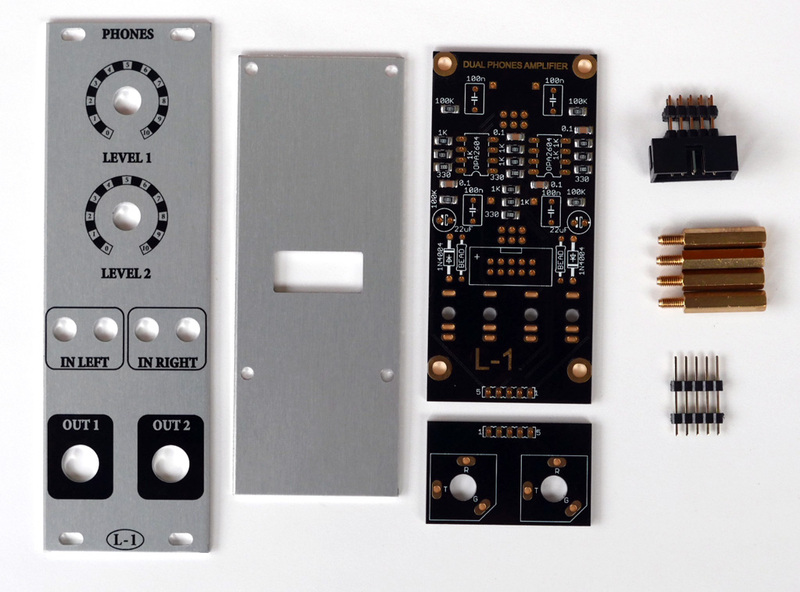 The kit includes: PCBs with installed SMDs, panels, connectors and standoffs. Now I have for sale from test batch - 4 assembled and 5 kits. Write me who want. More - in one month. 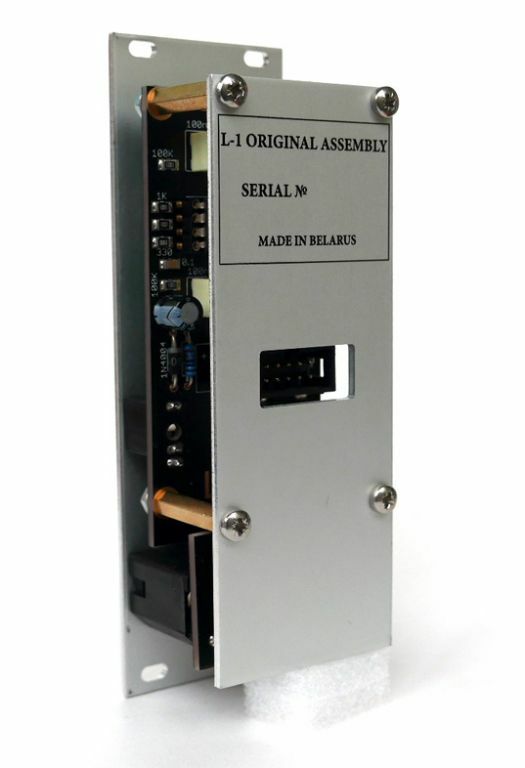 Pricing: assembled module $165 + $10 shipping. Kit - $60 + $8 shipping. USD. 2 - 10 Ohm resistor, or ferrite bead.